VENTURE INCITE (VI), backed by Solidus TNInvestco, has signed a license Agreement With Babcock & Wilcox Y-12 that could lead to production of body armor and related materials for sale to military, law enforcement and other customers, said Shawn Carson, who is a VI shareholder and lead for the potential armor business. The licensed technology allows production of very hard, lightweight CERMET (ceramic-metal) material. Carson said the next step in the potential commercialization process is "to manufacture test samples to determine the material’s physical and mechanical properties," using funding from a previously announced technology-maturation grant received from the Tennessee Technology Development Corporation (TTDC). VI is quartered in a Tech 20/20 Accelerator at the ORNL tech commercialization center. VI has begun negotiating with a prospective Tennessee-based manufacturing partner. Capital and other requirements aren't likely to be in sharp focus for nine months, or more. In June, as reported by VNC, VI announced its licensing of superhydrophic technology and set into motion the roll-out of a series of startups. ► Tennessee Valley Infrastructure Group (TVIG), which constructs wind-to-energy farms under the leadership of CEO Peter de Vos, a former RBC investment banker, filed with the SEC for its completed $4MM capital raise. Jill Van Beke, former downtown development aide to then-Knoxville Mayor Bill Haslam, has joined Commissioner Bill Hagerty's state Economic and Community Development as a business development director. VNC confirmed she is married to entrepreneur Chris Van Beke, founder of Voices Heard Media, which has received at least $150K in funding from Tennessee Community Ventures, a TNInvestco fund. Hagerty was briefly associated with the same TNInvestco fund prior to accepting appointment to the Haslam Cabinet. ► TNInvestco NEST-TN has provided $50,000 debt convertible to equity to J2 Software Solutions, which has been headquartered in Moncks Corner, SC. J2 provides software for law-enforcement dispatch operations, file management and other functions. Also: TNInvestco NEST-TN sees great potential in portfolio company Secure Waters, Tullahoma News reports here. More on NEST-TN plans here. ► $250,000 grants will be awarded to business accelerators in each of Tennessee's 9 economic development districts, ECD announced. Applicants' letters of intent to compete are invited by COB Sept. 6 and applications will be due-in Sept. 30. Related: Startup Tennessee waits in the wings, NBJ reports. ► New commercial ventures in Unmanned Aircraft Systems could orginate from Middle Tennessee State University, as a result of a cooperative program with the U.S. Army recently announced. MTSU's longstanding aerospace program will offer a new curriculum for Fall 2012 and will seek to foster entrepreneurship in the UAS sector, as well, according to an AP report. 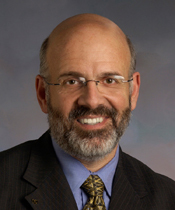 ► University of Tennessee President Joe DiPietro took the switchgrass biofuel story to the Iowa heartland, the KNS reports. Related VNC General Energy coverage here. ► Lamp Post Lab in Chattanooga accelerates startups; it's business plan calls for gradually ceding controlling interest to the entrepreneurs, the TFP reports. VNC's earlier report on Lamp Post here. One LP beneficiary is startup Cumberland Signal. Technology 2020 (Oak Ridge and region) is 'kicking-it up a notch' with new branding, outreach and services, CEO Mike Cuddy told the OakRidger here. Earlier VNC coverage on Tech 20/20, as it's now known, is right here. ► Cleveland/Bradley County Business Incubator assembled government grants for a facility that will cater to young businesses with Green themes. The TFP reports. ► EmergeMemphis accelerator features Lokion, First Horizon and RemitDATA executives as Memphis mentors, the CA has it. ► Business incubator contemplated in Dayton, Tenn., Rhea County, the Times Free Press reports. Innovation Valley Inc. Chairman Thom Mason, who is director of UT-Battelle at Oak Ridge National Laboratory extols the advantages of economic development in the Knoxville-Oak Ridge region, KNS here. ► Volkswagen adopts Chattanooga-based eSpin Technologies' nanofiber filters, the TFP reports. ► No gain: Confluence Solar during the Bredesen Administration announced plans to create Solar manufacturing jobs in Clinton, Tenn., the KNS reports. Now, they've been bought by New Hampshire-based GT Advanced Technologies (which commited $80MM to the deal) and will remain focused in the St. Louis area, according to this report. ► Lithium Io Batteries: Oak Ridge National Laboratory and Dow Kokam are collaborating to strengthen Dow Kokam's capabilities associated with development and production of improved lithium ion battery performance, an initiative that aligns with federal efforts to improve U.S. manufacturing. ORNL release here. Gov. Haslam restates his promise to reduce the supposed regulatory burden on business; ECD Commissioner Bill Hagerty has also promised a matrix for economic development incentives and benefits. TFP reports. Related TNJournal report. Related City Paper story. The Governor told a Hendersonville audience that industry incentives will continue, the CA reports. Haslam suspects we'll avoid double-dip recession, NBJ reports. Tennessee's workforce is inadequate for tech in particular, says Haslam. TFP reports. ► Tennessee U.S. Sen. Bob Corker (R) isn't signing-on immediately to a proposal for a national (federal) solution to the online sales-tax issue that has repeatedly embroiled states recruiting Amazon.com in controversy. The CA reports. Jobs competition: BlueGrass Economic Advancement Movement (BEAM) is the name of a new "super-regional" economic-development initiative driven by mayors of Louisville and Lexington, Ky., the LBJ reports. Advanced manufacturing is a strength the Kentuckians cite. VNC reported earlier (scroll to bottom here) on Louisville's planning to outpace other cities in the Mid-South, including Nashville. ► UT-Chattanooga College of Business Dean Robert Dooley will reach out proactively to business and may push distance learning. The TFP reports. Earlier related story. ► Chattanooga-Atlanta high-speed rail assessment gets green light after bi-state locals come up with $3.3MM matching funds, TFP reports. ► Chattanooga land crunch: The TFP updates locals' concerns regarding the shortage of available industrial land, as demand to be closer to Volkwagen grows. BadgerSpot (Memphis) got its quick response (QR) app in the Apple store and is marketing it now. MDN reports. ► DevLink moved from Nashville to Chattanooga this year, and attracted over 600 software developers, the TFP reports. Event organizer John Kellar is with Terenine. ► CTS (Computer Technology Solutions), based in Birmingham with an office in Atlanta, is opening a Chattanooga office for QA, BI, software development, process engineering and IT staffing. ► Energy innovation and its commercialization is the focus of a new venture fund in St. Louis, backed by Monsanto and Bunge North America, headquartered there. SLBJ reports it. ► Chrysalis Ventures has shuttered Louisville portfolio company Achieve CCA, in which it invested a reported $5MM.Louisville First said the company's software was sold to Bremerton, Wash.-based American Financial Solutions and the staff laid-off. Achieve worked with healthcare providers and consumers who could not pay all their medical bills. ► Smith & Nephew's teen-mentoring programs in Memphis aims to cultivate minority scholars for medical tech and business roles, supporting them from Grade 8 through college. The MDN reports. ► Memphis Business Journal asks editorially 'Where are the Rest of You?' after comparing Memphis' substantial, but lesser INC 500 ranking results to those of Nashville and environs. ► Divorce Information Retrieval Technology, a year-old Memphis electronic discovery firm produces artifact that may help parties to divorce battles, the MBJ reports. ► Entrepreneur Lois Durham, 27, suffered a blow in life, but fellow West Tennessee business women rallied behind her to help build her skill and confidence for running her online business. The CA reports.